Cleaning the gutter might be one of the most enduring tasks as a homeowner. We tend to only drag out the ladders whenever we see that our gutters are overflowing. But, whenever pine needles, cones and tree branches get into the gutters; they become an evil monster that’s nearly impossible to take on. That’s when you call Cavalier Window Cleaning & Power Washing for gutter repairs. Our repairs will get your gutters back to functional levels again. Whenever you tend to ignore your gutters and can no longer tighten the gutter nails; you’re going to need professional hands. If the task of cleaning the gutters has become too overwhelming; call in professionals before the problem gets bigger than it already is. Over time, it’s very common for gutters to sag. You can check for sagging by standing outside and looking to see if they are parallel with the roof. You can also hire someone to inspect them as well. If the gutter needs any adjustments, you can call 434-823-1737. Another very common problem in Charlottesville is with the downspouts. The area will need to be cleaned out where the clogging has occurred. This is simple maintenance that could eventually result in a costly repair if not caught in time. Roofing inspections will help keep your roof in once piece and also check on the condition of the gutters. An inspection done by someone who is licensed is usually required unless you know someone that does them on the side; which is never recommended. 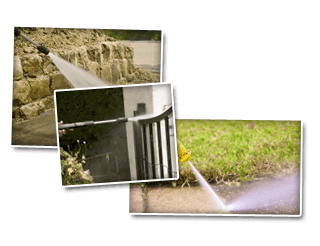 For all of your gutter needs; you can trust and depend on the professionals you’ll meet from Cavalier Window Cleaning & Power Washing. 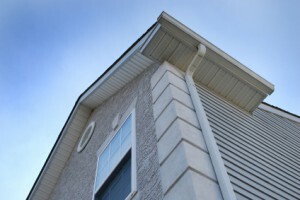 Our gutter repairs are done by those who are insured and licensed. You’ll never have to worry about your gutters or the condition of them ever again we we’re the local’s choice for repairs and cleanings. If you are looking for Gutter Repair Services then please call 434-823-1737 or 540-910-1434 or complete our online request form.